New Edition! Now supported by 4 more systems. 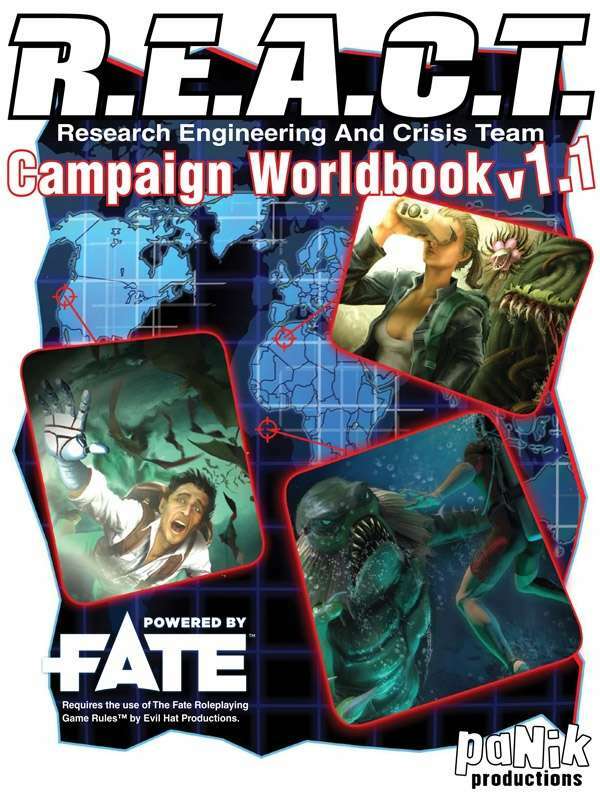 Enter the world of R.E.A.C.T., the Research, Engineering, And Crisis Team! Psychics and cyborgs battle mutants to defend mankind from extra-dimensional destruction in this sci-fi espionage themed action-adventure game world. Forget games with nebulous morality where the characters are reprobates, monsters or anti-heroes; R.E.A.C.T. is absolutely the good guys and are out to save the world... with Science!